The approach of spring means the beginning of 'spray season' for many tree companies. Any time we introduce a product into the environment, pesticide or fertilizer, we are altering the ecosystem. It's important to consider some things when choosing pesticides. How the active ingredient controls the pest and it's residual in the landscape are important concepts in an integrated pest management program. Care should be taken to choose products that do the least amount of harm to beneficial/benign arthropods. Pyrethrin and spinoside are two chemicals that control many of the same insect pests. Both mimic substances found in nature. The difference? Pyrethrin is an indiscriminate killer of most insects and arachnids, including beneficial insects like lady bugs and mantises. Meanwhile, spinoside has a low toxicity to many beneficial insects plants rely on for protection from herbivorous pests. Part of integrated pest management practices are preserving, or restoring, the natural balance between pest & prey in the landscape. Lady bug feeding on a canker work. Another thing to keep in mind; organic is not a synonym for safe! There are Organic Materials Review Institute-approved pyrethins that will kill most all arthropods that are exposed to the product. Meanwhile, there are completely man-made synthetic products that will effectively control the target pest, while preserving beneficial insects. When developing a pest management strategy, it is imperative to research active ingredients, modes of action, and persistence in the environment. Read the labels. Ask questions of the product developers and your local extension. Those people are great resources, and are there to help. 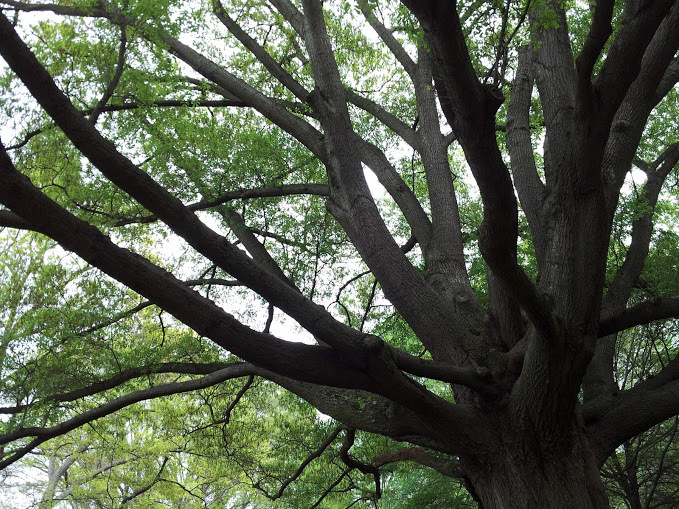 This weekend (April 13th-14th 2013) was the annual Charlotte Arborists Association Tree Climbing Competition. It is one of the few open invitational tree climbing comps out there. Climbers and volunteers from all over the world meet in the quaint "New South" City of Charlotte, NC for 2 days of peer learning, camaraderie, climbing, and fun. Tree climbing competitions are a great place to learn new techniques, meet new people, and make great friends. I've volunteered at TCCs from Pennsylvania to Louisiana, but there is one thing about comps that has always bothered me. We can really torture some trees during these events. Starting with set up day, the interior of the work climb tree and a portion of the aerial rescue tree is often over thinned and lions tailed. Then on the day of the event, competitors run through the preliminaries as speedily as possible, jerking branches, smashing bark, and pulling on limbs with full force and weight. It's like creating an artificial storm the trees must endure, with over pruning resembling the resulting loss in photosynthetic area. We also invite spectators to mass around these trees, thus leading to potential soil compaction around, most often, mature trees. Water oak once used as a work climb tree. Notice numerous small pruning wounds throughout the interior of the crown. A friend of mine once wondered if any data had been collected comparing tree health/vigor as pre and then post work climb tree. His feeling, based upon past competition trees in Charlotte, is over all heath of the tree may decline after the event for reasons stated above. Now this could be coincidental, or it may be that competition trees in Charlotte are used in consecutive years for different events. If the health of these trees are being affected by repeated use, this may be a lesson to other competition organizers. It may be best practice to be one and done with trees chosen for competition. Trees create reaction wood and adapt to their environment over time. The sudden assault of a tree climbing competition could potentially be quite a stress for a tree. I love tree climbing competitions, and by no means I am I suggesting they be abolished. We are arborists, and our job is to care for trees. This basic principle of our job shouldn't be forgotten for the sake of competition. This year in Charlotte our head judge was Chip Hildreth, and he is a firm believer in this idea. Chip asked the trees be thinned as little as possible for work climb and aerial rescue. While, I don't remember his exact quote, his sentiment in the competitors meeting was similar. We are arborists, and our job is to care for trees. Damaging the tree during the competition would result in harsh judgment and points deduction. Our techniques and tools, along with our understanding of tree physiology are improving on a daily basis. Our approach to tree climbing competitions, both their set up and execution, with regard to tree preservation will also improve. One of Chip's ideas is to change the way some events (i.e. work climb) is scored. By taking the time component out of an event like work climb, and concentrating solely on scoring by technique and finesse, we may be able to save some wear and tear on the tree. 2013 Charlotte TCC work climb tree. Notice preserved small diameter interior growth. This picture was taken after the event was competed. I'm fixin' to fix some nitrogen. We know that plants in the legume family (i.e. 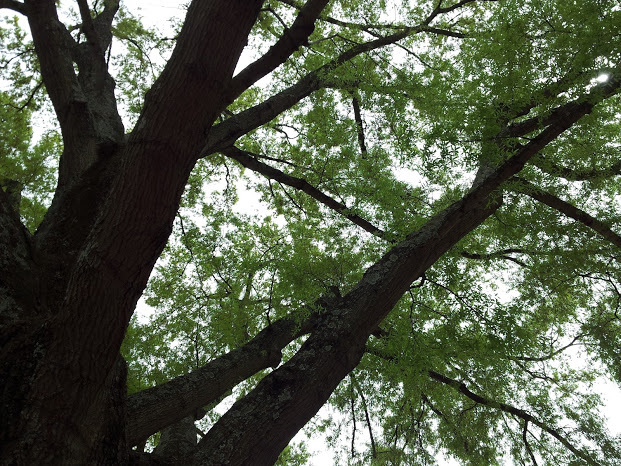 black locust & soybeans) covert atmospheric nitrogen into a form that is available for root absorption in the soil. However it's not the plant fixing nitrogen, but bacteria known as rhizobia that form a symbiotic host relationship with the plant doing the work. Similar in away to mycorrizal fungi, the plant provides sugars to the bacteria, and in return gains benefits from increased uptake of nitrogen. This relationship is only formed on sites that are deficient in available nitrogen. Root hairs are prompted to grow around the bacteria forming characteristic nodules. But wait, there's more. Less thought about Frankia, a species of actinobacteria, form the same symbiotic relationship with 24 genera of actinorhizal plants. Trees in this group are varied, and include Alnus (sample species: red alder), Myrica (sample species: wax myrtle), and the often loathed Eleagnus (sample species: autumn olive). 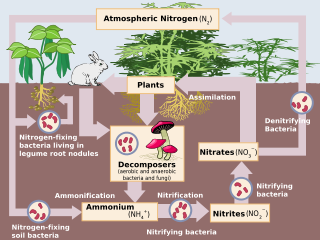 This plant bacteria relationship is a major source of nitrogen fixation world wide, and many if these species are commonly found in our landscapes. To see a list of actinorhizal plants check out this site: http://web.uconn.edu/mcbstaff/benson/Frankia/PlantBiology.htm . If you find these guys, do some digging around, and see if you can find the unmistakable nodules. Because the list of actinorhizal plants is quite varied, and includes several species of ornamentals, incorporating these plants in to our landscape plans can be a natural and sustainable why to get available nitrogen into our soils.